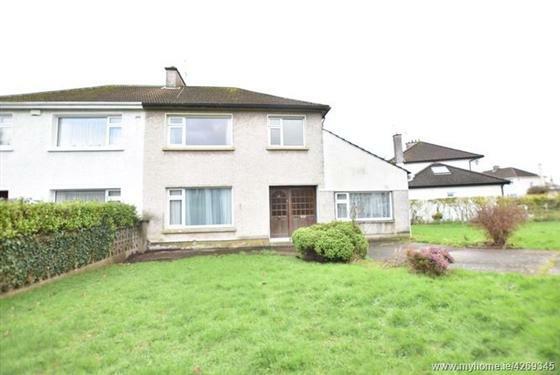 ERA Downey McCarthy are delighted to launch to the market this 4 bed Semi-Detached Residence situated in a very convenient location only a stones throw away from all local amenities in Wilton and Glasheen. 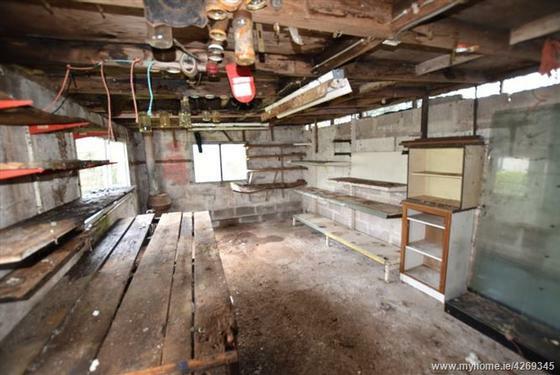 The property briefly consists of a hallway, kitchen / dining room, a living room and upstairs there are 3 spacious bedrooms and a bathroom. 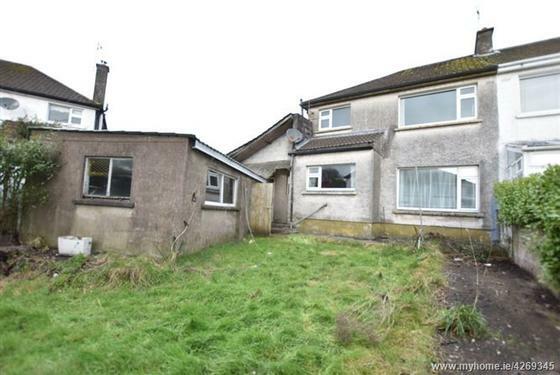 The property also features a large extension to the side which incorporates a second kitchen/living area along with a fourth bedroom with an en-suite bathroom. 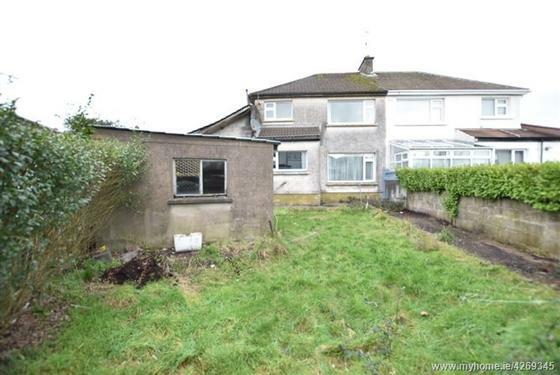 The house is situated on a large spacious site with a south facing rear garden. 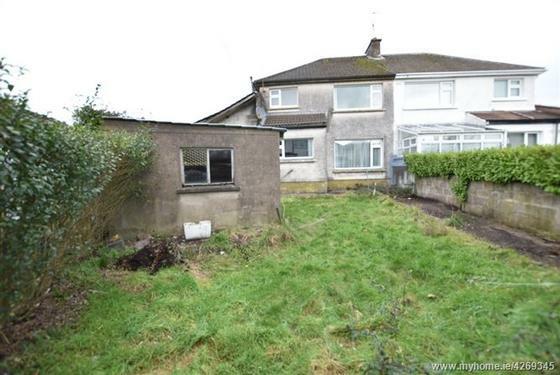 The Property is in need of complete modernisation but has Immense potential. 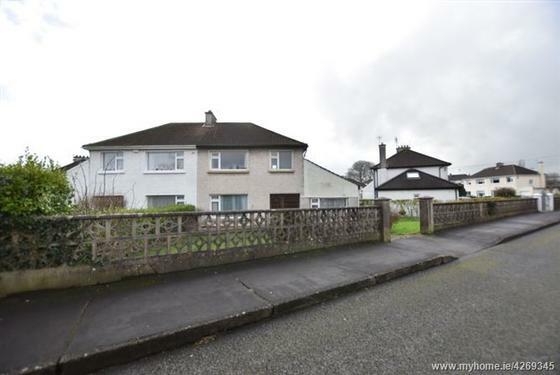 The property is superbly located close to The Cork University Hospital, Wilton Shopping Centre, UCC and the South link Road system. 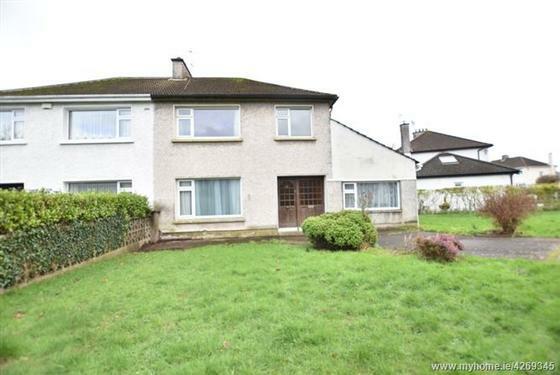 The property is within easy reach of Cork City Centre and is on a bus route and within walking distance of all amenities. Outside Shed with double door access. 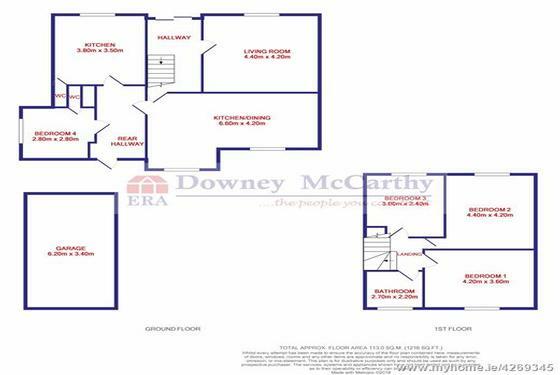 Bright reception hallway has carpet floor covering, under stairs storage, one radiator and stairs to first floor. 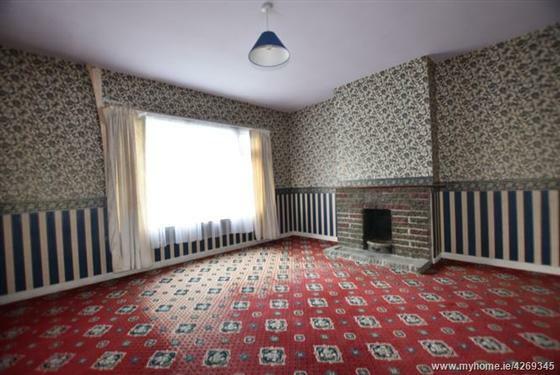 This spacious living room has an open fireplace, carpet floor covering, one large window looking out at the front of the property and one single power point. 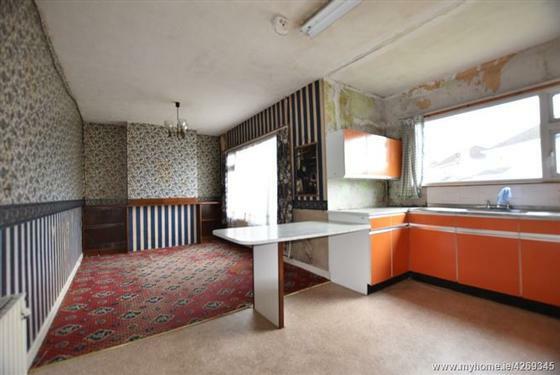 The kitchen has floor and eye level units. 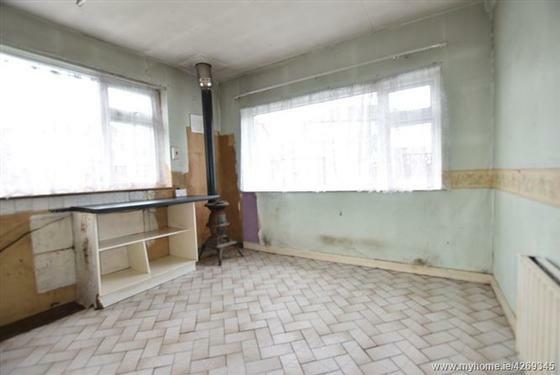 A Stainless Steel sink unit with tiled splash back, one large window looking into the rear garden, Breakfast bar area, one Radiator, Lino Flooring, three power points and a door leading to an extension. 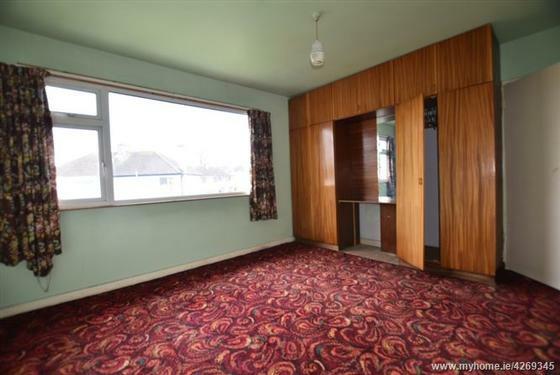 This room has carpet floor covering, one Single light fitting, built in shelves, one large window looking into the rear garden and one radiator. This area houses the oil burner. 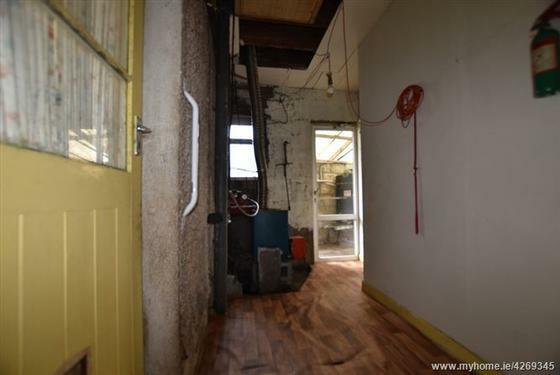 There is a door to the rear of the property and window overlooking the rear of the property and has one single light fitting. 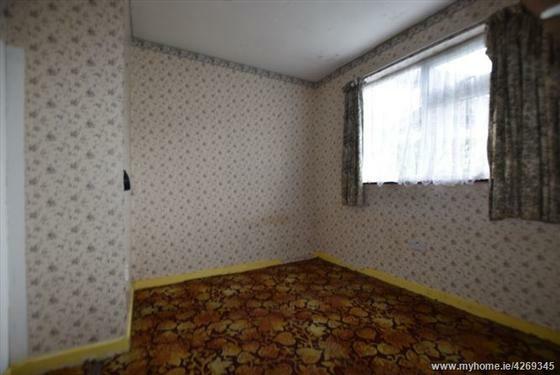 This ground floor bedroom has a single light fitting, one double power point and one window over looking side of the property. 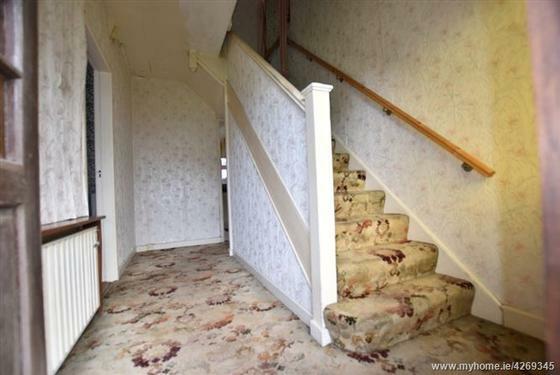 Stairs and landing are fully carpeted. 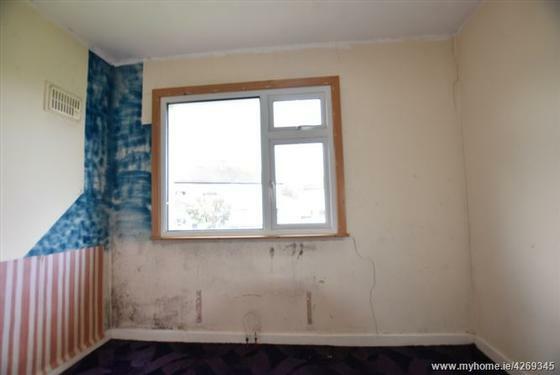 This double bedroom has carpet floor covering, built in robes, one large double glazed window, one radiator and one single power point. 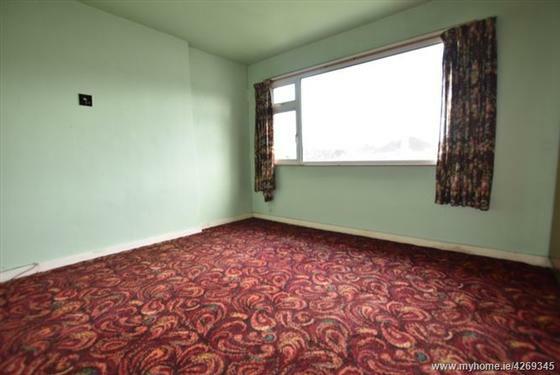 This room has carpet floor covering, one large double glazed window, one radiator, one single light fitting and one power point. 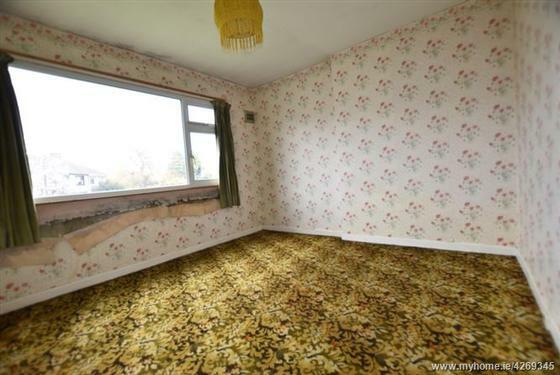 This single room has carpet floor covering, one window and single light fitting. 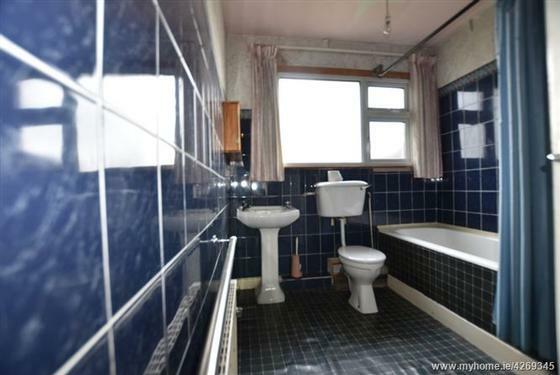 The family bathroom has laminate flooring, tiled walls, one W.C. radiator, and wash hand basin. There is a bath with shower. 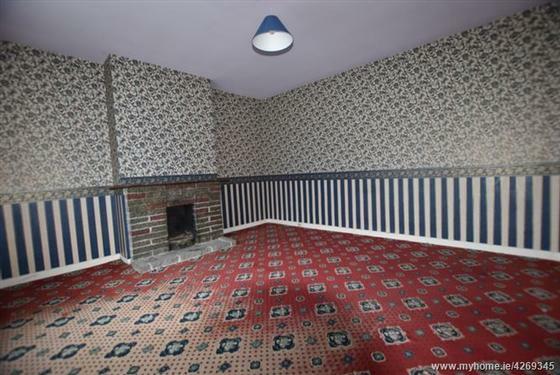 There is also a hot press with access to the attic. 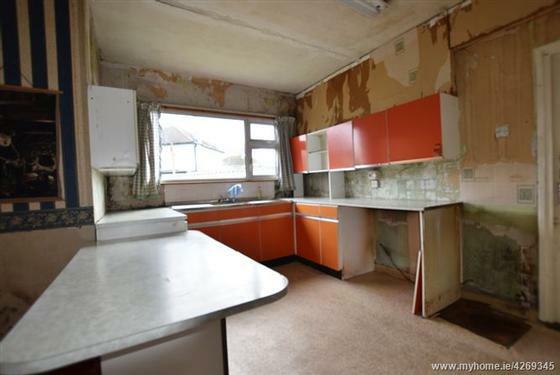 This Kitchen Area has a single light fitting, Stainless Steel sink, tiled splash back, large window to the front ans side. 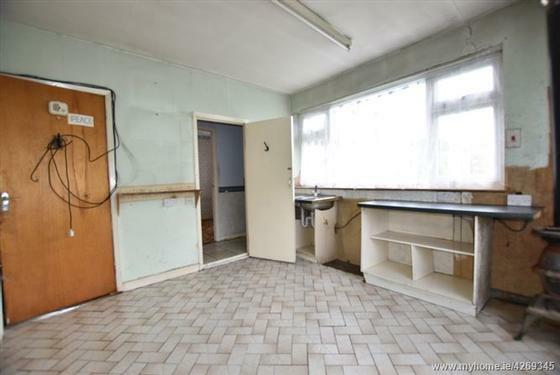 Three double power points, one Radiator and shower area off kitchen. 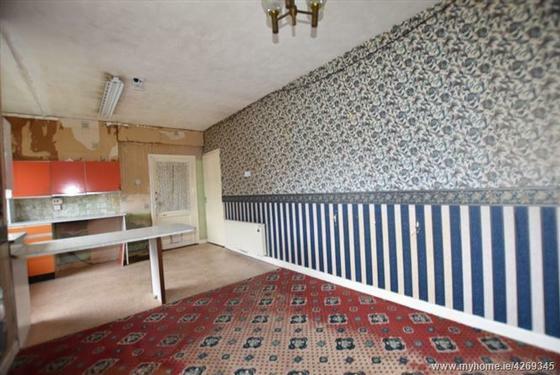 The area has tiled flooring from floor to ceiling and one W.C.